MOUNTUNE 275 / FULL FORD SERVICE HISTORY / IMMACULATE!! 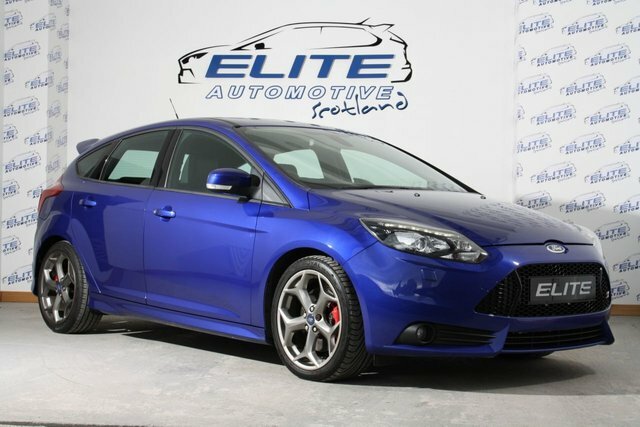 Elite are delighted to offer to the market this immaculate Focus ST-3 Finished in Spirit Blue with Full Ford Service History and 45000 miles on the clock! This car is fitted with the much coveted Mountune 275 conversion which features: Large-capacity alloy intercooler in Black Low-loss cast crossover duct with Samco silicone hose, Exclusive K&N air filter with removal end plug, Revised engine calibration and mountune Performance badge. What does this give the customer? A Power increase from 250 to 275PS at 5500rpm and torque is raised to 400Nm at 2750rpm, 0-60mph takes just 5.7 seconds and drops the 31-62mph in-gear time to 4.9 seconds - 0.8 seconds quicker than in standard form. This is the car Ford should have made from the factory and is a genuine MK3 RS alternative without the running/purchasing costs! !